SMEs and entrepreneurs make an important contribution to the Canadian economy. 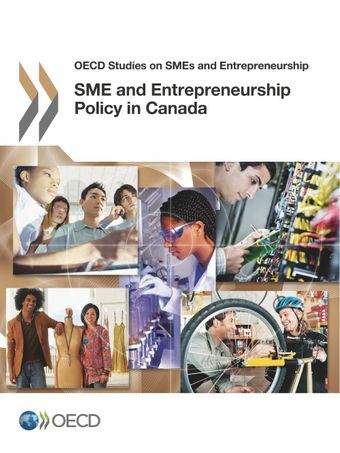 SMEs account for 60% of total employment, and Canada performs very well across many measures of small business generation, growth and innovation. However, further increases in productivity in medium-sized firms, an increase in SME exports, a greater business start-up rate and an increased number of high-growth firms could bring substantial benefits for the national economy. This report identifies several areas where new policy approaches could help achieve these objectives. Framework conditions for small business could be improved in business taxation, public procurement, access to financing and the commercialisation of research. New and extended programmes could be introduced in domains including entrepreneurship education, management advice and consultancy, and workforce skills development. A major effort is recommended to prioritise women's entrepreneurship, including by supporting social enterprises, and federal support could be offered to support the exchange of information on best practice SME regulations and programmes among provinces and territories. All this could be brought together and co-ordinated through the umbrella of a national strategy and a lead agency for SME and entrepreneurship policy.